Platinum Infinity Style knot necklace. 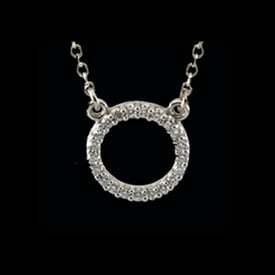 Beautiful trendy design measures 18 inches in length and is a great necklace to wear everyday. 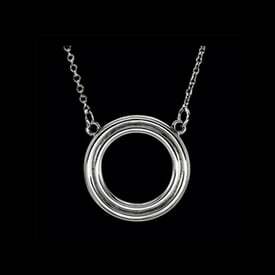 Chain is Platinum cable. 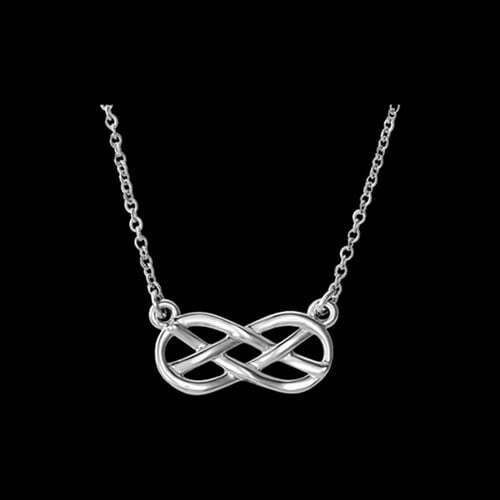 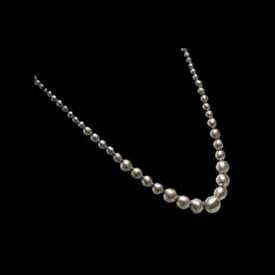 The featured Infinity design measures 18.5mm in length by 8mm top to bottom and this necklace weighs about 3.53grams. 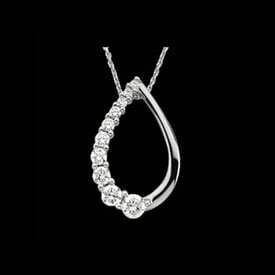 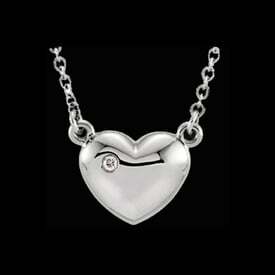 A great Platinum necklace.